» Hobs: Induction vs. Gas, Which Is Better? Hobs: Induction vs. Gas, Which Is Better? Perhaps the most important component to every kitchen, deciding on the type of stove you prefer can be quite daunting. This is especially true if you have very little to no knowledge on what exactly is available on offer. The choice between the gas or induction stoves will be one that will make a big difference to your kitchen experience. 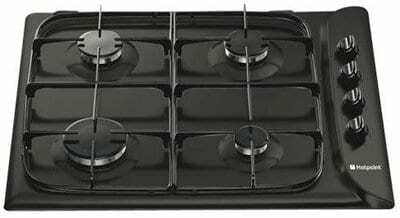 Gas and Induction stoves have particular differences and pros and cons that can be either a deal maker or breaker, depending on your needs. In an induction hob, a copper wire coil is positioned under a cooking pot and an electric current that alternates direction is passed through it. Eventually, this action leads to the heating of the pot on top of the stove. This process of heating is known as magnetic induction. Most induction hobs can only heat pots and pans made of ferromagnetic metal such as cast iron or certain stainless steels. Copper, glass, non magnetic stainless steels and aluminum pots can be used if they are placed on a ferromagnetic disk that works as a conventional hotplate. Induction hobs may be a built-in surface, part of a series, or a standalone surface unit known as a portable hob. Built-in and range-top units usually have multiple elements, equal to those of isolated burner rings on a gas-fueled range. Stand-alone induction hobs usually have a single element, or may occasionally have double elements. All induction hob elements share a basic design: an electromagnet sealed underneath a heat-resisting glass-ceramic sheet. The pots are placed on the ceramic glass surface. The ferromagnetic properties of steel pots focus the induced current in a thin layer near its surface, resulting in a heating effect. In pots made of paramagnetic materials like aluminum, the magnetic field penetrates even deeper, and the induced current encounters slight resistance in the metal. Units may have up to five induction zones while others have touch-sensitive controls. Some induction hobs have memory settings, one per element, to regulate the time that heat is applied. · Consistent heating with precise control that is instantly adjustable, as opposed to heating up slowly or cooling down just as slow as with other hobs. · Much more energy efficient energy-efficient than gas hobs due to the fact that they only heat the pan rather than the entire cooking surface. · Considerably cheaper compared to others as they only use the exact amount of energy needed. · Induction hobs are much safer in family environments because after cooking, the stovetop will be cool, except the area right under the pot or pan. · A quick-to-cool stovetop means that there will be less chance of baked-on spills. · Induction hobs are vertically thin, and require less than two inches of depth in the countertop surface. · You may find it necessary to invest in a new set of pots and pans as induction hobs only accommodate pots made of magnetic materials, which includes stainless steel and cast iron. · The charring method of cooking may be impossible with the induction hobs because these don’t have or are unable to make flames. · Induction hobs are quite infamous for making a noise during the cooking process mainly due to loose fitting handles and light lids on the stove that tend to vibrate, as well as pans with irregular bottoms that will make noise on the glass tops, despite the fact that induction hobs themselves are silent. This usually only happens on high heat settings. · If the electric goes down frequently in your neighborhood, this may become a problem as induction hobs are only power-driven. An all-time favorite of professional kitchens and chefs, the gas hob was invented in the 1820s, and a gas stove factory was established in England in 1836. It uses natural gas, propane, butane, liquefied petroleum gas or other flammable gas as sources of fuel. Most people tend to think that ignition of the gas stove is only by match or the old pilot light, but most modern gas stoves use either standing pilot or electric ignition. Modern gas stoves also have automatic timers for the oven and extractor hoods to remove fumes. Where people used to be averse to gas hobs previously over fear of explosion accidents, gas hobs actually have a safety valve called a flame failure device for gas hobs and ovens. This safety valve relies on a thermocouple that sends a signal to the valve to stay open. Should a draft blow out the flame or the flame simply goes out due to loss of gas pressure, the thermocouple cools off and signals the valve to close, and shut off the gas supply. · Gives instant heat and are able to distribute heat evenly across the base of pots and pans. · The heat settings can be controlled well with relative accuracy. · Gas hobs generally cool down quickly, reducing the chance of overheating or overcooking foods that are left on the stove after turning it off. · In the event that the power fails, surface burners can be manually match-lit. · Gas hobs can be quite difficult to clean; the cast iron grates need to be moved for efficient cleaning, which can easily cause them to be knocked out of place. If this is left unnoticed, it can lead to irregular flames when cooking. Many factors simply cannot be considered for comparison as they may be too variable. Factors such as cost of running the respective stoves, for example, are incomparable seen as that gas and energy prices fluctuate greatly. Personal preference for things such as cooking, safety or user-friendliness ultimately plays a role when deciding on the victor between the two types. However, looking at the features of the induction hob range compared to its slight disadvantage of requiring specific materials for pots and pans, the range certainly seems to enjoy supremacy. If you are interested in an induction hob, check out the best portable induction hob.